In early November 2005, sixteen lawyers and guest visited the new Vietnam and the new Cambodia. I call these countries new, because they have emerged from a past of wars and unspeakable human suffering. These dark clouds, in the past overshadowed the beauty and richness of the people and of these two countries. 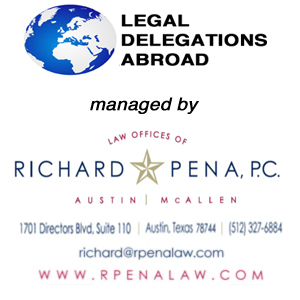 The goal of our legal delegation was to interact with our counterparts in Vietnam and Cambodia. Our hope of returning to the United States with a better understanding of the Vietnamese and Cambodian legal systems was realized. Our meetings and exchanges with the lawyers from Vietnam and Cambodia were pointed, well thought out, and substantive. Indeed, a mutual international understanding of the legal systems, for many of us, was a product of these discussions. An important aspect of our visit was the cultural component. With the revitalization of relations between Cambodia, Vietnam, and the United States access is better than ever before. In Vietnam, we found a young population, which was embracing and moving toward a market economy. The “American War” as they call it is now a source of tourist attractions and revenue. In spite of the market economy, there is still a tight communist control of the government headed by leaders who were brought in after the American War and who were without the traditional training which would equip them to run a country. Yet, Ho Chi Minh City, in particular, is a commercial hub. But the country is one of contrast, with villagers still carrying food and firewood in baskets or poles as they walk. As the country goes forward, so does the legal profession, which has 3,500 lawyers in the entire country. Each city has its own bar association, Ho Chi Minh Bar Association being the largest with over 1,100 lawyers. As the country attempts to become part of the World Trade Organization, we were told that now is the best time for lawyers and life for lawyers is quite different than before. Cambodia is a country that is easy to fall in love with. The country is emerging from the blood bath and cruelty of Pol Pot and the Khmer Rouge. We spoke with a survivor of the killings who related how the Khmer Rouge went into Phnom Penh in 1975 ordering over two million inhabitants to immediately leave and go into the countryside with only the clothes on their backs. As Pol Pot embarked on his “peasant nation” he, and the Khmer Rouge, began killing those considered “traitors” which generally consisted of educated people. It was brutal and insane. All semblance of civilization was destroyed: schools and hospitals were closed and there was no money or transportation. Sixteen American lawyers and guests journey to Southeast Asia. I was proud of our delegation. They met their goals. In the end we, and our Vietnamese and Cambodian counterparts, are better for this professional exchange. The memories of this trip will last forever, as will our lasting impressions of the people in Vietnam and Cambodia. During a bus ride from one of the many temples in Cambodia, back to our hotel in Phnom Penh, we traveled through the rural countryside. We saw many school children, in their white top uniforms, going home from school down a country road. Some were walking, others riding on bicycles. One of our delegates looked at our tour guide and said, pointing to the children’s feet, “No shoes.” Our guide looked at the delegate and responded, “No money, some yes, some no.” And so it is with these proud and gentle people.